Up to 40% of homes-conditioned air escapes through the attic. If your heating and cooling costs are "going through the roof, " there's an easy solution: adding atic insulation. 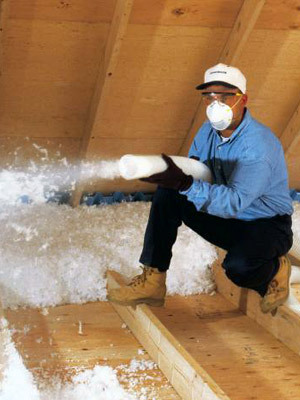 Attic insulation can help cut energy bills by up to 20%. The performance of your new roof goes a lot deeper than the new shingles. It takes a complete system, including ventilation and insulation, to maximize your performance. These products works together to provide you comfort, help save you money, and extend the life of your roof. Proper insulation and ventilation can help prevent attic moisture, which can cause wet wood, mold and mildew, and prevent attic heat which causes ice damming. Insulate now. Protect your roof. Save your money! Copyright 2019 Prime Starr Construction, Inc.